Usain Bolt scored twice in a friendly as he hopes to land a first professional contract in football with the Central Coast Mariners. Central Coast Mariners chief executive Shaun Mielekamp has stressed it is "too early to tell" if Usain Bolt's two-goal showing in a friendly on Friday has persuaded the A-League club to offer him a full-time deal. 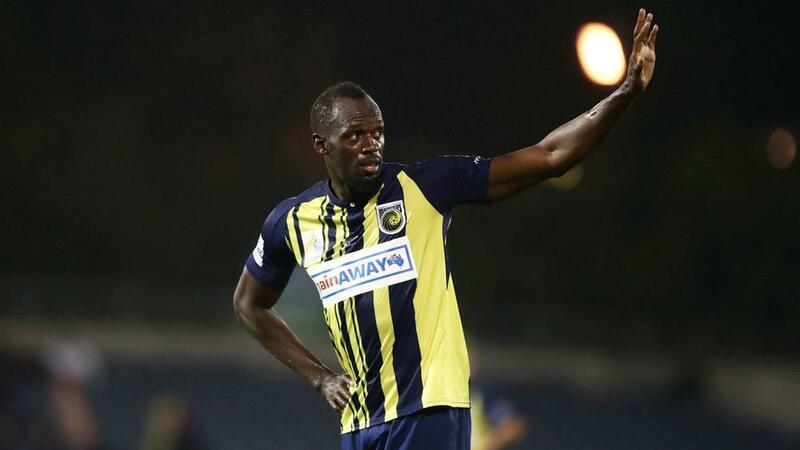 Eight-time Olympic champion Bolt, who retired from the track in 2017, is currently on trial with the Mariners as he bids to fulfil his dream of becoming a professional footballer. He made his first start against Macarthur South West United and, despite missing several routine chances, the 32-year-old found the net twice in the second half to stake his claim for an offer ahead of the Mariners' A-League campaign beginning next weekend. "[It] just puts more attention on the discussion we would already have had," Mielekamp told ESPN. "It was always part of the programme to have him play this game and we will keep talking the way we have been the whole time. "We have genuinely treated Usain like we would have any other trialist. He's been training hard with us and he showed weaknesses, but he also showed his strengths and got two goals, so all credit to him. "Whether it sways the outcome, it's too early to tell. We will now liaise heavily with our sporting director Mike Phelan, who is due back in the country shortly." For his own part, Phelan was also cautious about Bolt's long-term prospects with the Mariners despite his double. "He is working hard, he is improving every day and he still has weaknesses which he is clearly aware of," he told the Sensible Soccer website. "[Friday's performance] is fantastic, unbelievable, but I've seen lots of footballers in my time burst on to the scene and disappear just as quickly as they arrived. "Not that I'm telling you or Usain anything he doesn't know - as he's said in his interview - but there's a long way to go if he's going to be a consistent professional footballer. "Great start, yes. The best possible start, but that's what it is - a start."